Will It Be The Eve of Chaos or Calm? December has been a month of multicultural holiday celebrations, but the holidays ain’t over folks. New Year’s Eve will be here in just a few days. The question isn’t “when will it arrive?” The question is, will it arrive at your home with a big bang, or will it arrive with grace and ease? I can tell you honestly that New Year’s Eve will arrive at our house this year without whimpers or bangs. In the past, my home wasn’t calm and peaceful. In fact, it was pretty crazy, especially this time of year. For many years I used to host an annual New Year’s Eve party. Friends, family, neighbors, and coworkers knew that my dojo was The Place To Go if you wanted to have a great night on New Year’s Eve. For hours on end it was a fabulously fun FESTIVUS. People were coming and going all night. There were endless fireworks and food. Music was blasting, voices were booming, and drinks were pouring. I threw one heck of a party. Consider every living being in your home. I can say with all sincerity that as much as I loved hosting for others, I know now that it was a bit selfish of me because I wasn’t thinking of everyone. I had not considered how my housemates might have felt. These roomies were not like most. They didn’t speak my language. I didn’t speak theirs at the time. I did not consider the effects that New Year’s Eve’s shenanigans would have on them. My roommates were the animals with whom I shared my home. I can’t say that I ignored my furry, feathered, and scaly roomies’ needs when New Year’s Eve came around. 15 years ago I didn’t know their individual or species-specific needs. I was unaware of what each animal in my home truly needed to feel safe and secure, content and stress-free when the party got started! Many years ago I was in the old school dogs-and-dominance domain. I knew just enough to get by. I had a heart for fish and herps. And I knew the basics of birds, cats, rats and rabbits. But knowing the basics and having a heart for them wasn’t enough. -Not if they were to live long, healthy, peaceful, content, and minimally stressed lives. Using old-school, masculine management techniques create more harm than good. And a whole lotta love isn’t enough if we want our animal companions to flourish! We all have opinions about pets. But what do we really know to be true? Science and metaphysics are constantly discovering new and fascinating insights about animals. Did you know that arthritis and other physical ailments can affect your pet’s behavior and their response to triggers in their environment? Do you know how to determine when your cat is stressed? Did you know that play can be a wonderful stress reliever? Did you know that purring doesn’t necessarily mean a cat is content? Can you read cat body language fluently? Are you aware of stress triggers for many cats? Did you know that yawning when not sleepy, grooming out of context, shaking off, and stretching deeply are just a few examples of displacement behavior in cats and dogs? 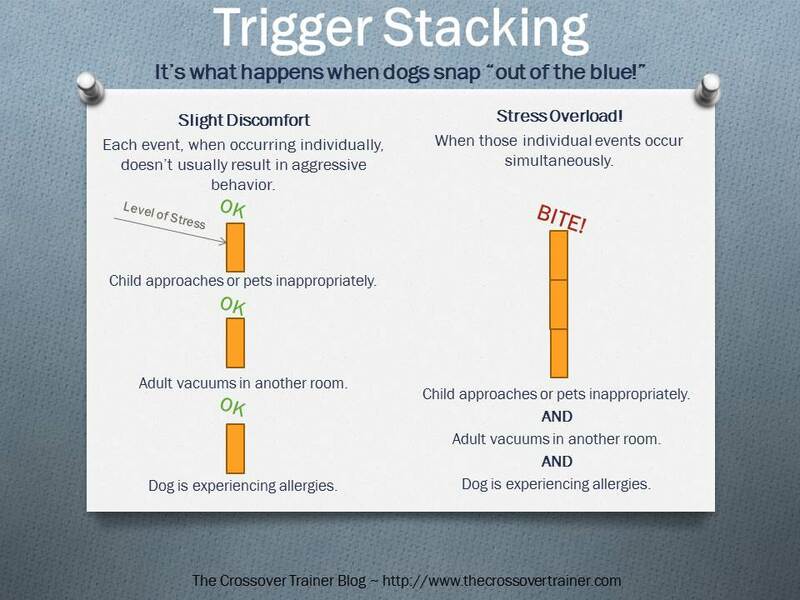 Can you identify triggers and stress in dogs? Can you recognize when your dog is displaying avoidance behavior or displacement behavior? Are you fluent in your dog’s body language? Were you aware that growls are GOOD? Did you know that pets and kids don’t make the best combo during celebrations? Have you prevented Grumble and Growl Zones in your home? Do you know why it’s important to always have stuffed, frozen bones and Kongs available? Have you heard of the Ladder of Aggression and Trigger Stacking? Do you know that appropriate enrichment for parrots can help them feel safe and help them relax? 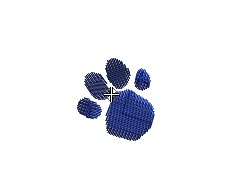 Are you aware that proper and fun enrichment can greatly reduce your pet’s fear? Did you know that house cats are both prey and predator? Can you recognize signs of anxiety and fear in cats and dogs? Are you aware of the detrimental effects that stress leads to in cats? What about the effects of stress on a dog? Do you have a “Bolt Hole” for both the cats and dogs? Were you aware of the power and protection of boxes?? Do you know about these Natural Remedies For Your Nervous Dog ? Did you know that food can be a powerful tool? The right kind of food can help cats when they’re afraid. The right kinds of foods can help dogs reduce and eliminate their fears, too! Are you aware of the amazingly effective holistic calming tools available for cats, dogs, horses, parrots, and reptiles? Did you know that your pets have chakras? These are all affected by their inner and outer environment, which affects their behavior and health. Did you know that Energy Healing can transform behavior? Do you believe the MYTH that animals do things out of spite? Did you know that comforting your animal companion when he/she is afraid will not reinforce his/her fear? Are you aware that you can Reduce Stress Levels by Creating “Down Time” and setting Safe Boundaries? All of this matters. –Especially during the holidays. Are the holidays stressful for you? Consider how it affects your animal companions. Consider how they feel. Consider their individual needs. I failed to do this in years past, but now that I know better, I do better. Now we spend New Year’s Eve cuddled and calm. We don’t throw wild parties, and if we do have friends over, we set up our home environment to ensure the animals feel safe. How will you spend your New Year’s Eve this year? Will you welcome it with calmness and without fear? My wish is that you will. May you find comfort and peace being home with the ones you love, and may you be content being together. If you would like tips on HOW to make your home safe and calm BEFORE your New Year’s Eve company arrives, and BEFORE the fireworks and festivities begin, visit here. Our animal companions can be a tremendous source of healing and joy, if we let them. They remind us to love ourselves unconditionally. They help us to see ourselves as whole and perfect just the way we are. They are one of life’s greatest gifts.